IL GLOBO is pleased to officially announce a space entirely dedicated to teachers and students of Italian. In classe, an initiative of Il Globo & La Fiamma, aims to support and nurture the teaching of Italian across Australia. In 2019, the In classe section is being expanded to a lift-out section dedicated to the interests of teachers, parents and students. The monthly lift-out will include school news, feature stories, in depth articles on important issues facing Italian language education, as well as resources for teachers, scholarship opportunities for teachers and students as well as professional development information. Il Globo & La Fiamma are pleased to offer a free subscription to all teachers of Italian across Australia. Schools outside Australia can access In classe as well as each edition of Il Globo & La Fiamma in digital formats. Register now, to receive a free copy mailed to your school. 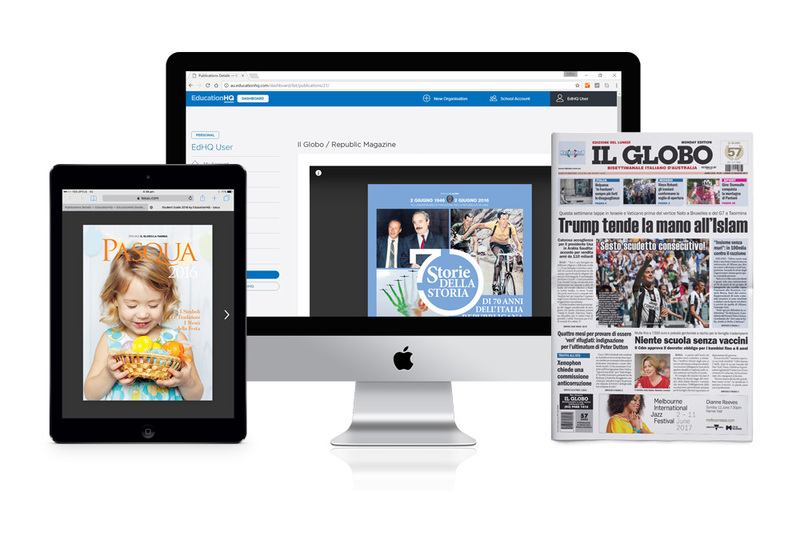 The ulimate classroom resource for Italian students is a digital subscription to Il Globo. Each edition is made available via digital replica formats available on computers and tablet devices. Digital subscription cost: FREE for 2019. No logins, no passwords, no limits on concurrent users! We'll provide you with a link to access our newspaper and magazines – no logins, passwords or apps required. Access will be limited to the school's IP range, so users can only login while they're on school grounds. PLUS - users can be given access outside of school via a login. If your school would like to subscribe to weekly print subscriptions, please contact us. or call us on 03 9481 0666.